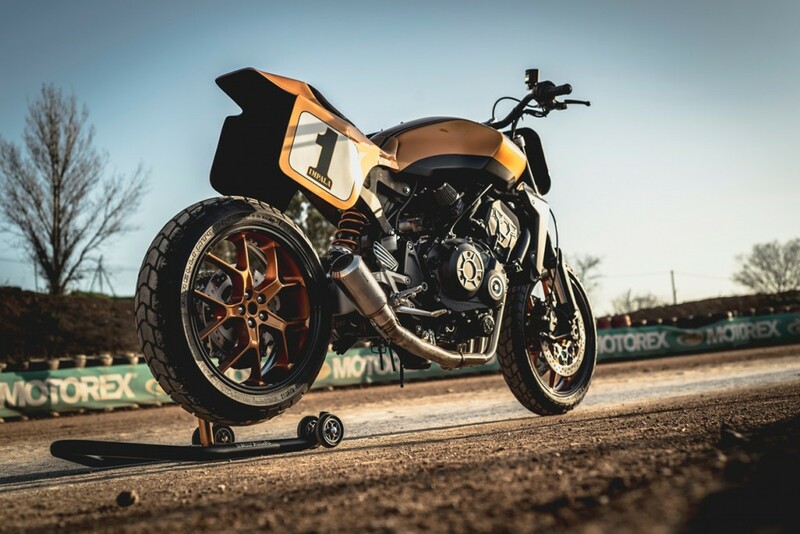 Last week, we featured the Honda CB1000R customs taking part in the Honda Garage Dreams contest, in which 13 Honda dealers from Spain and Portugal have customized Honda’s 144-hp Neo Sports Café with a strict budget of 5000 EUR — 3000 EUR for parts / 2000 EUR for paint. One of our favorites was the entry from Impala Honda of Barcelona. 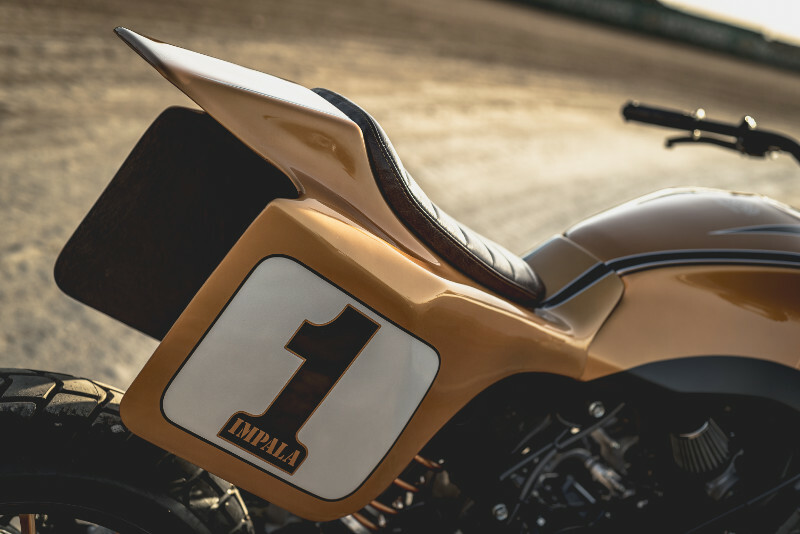 Impala was founded in 1959 by three racers and has continued to be active in various forms of motorcycle racing. 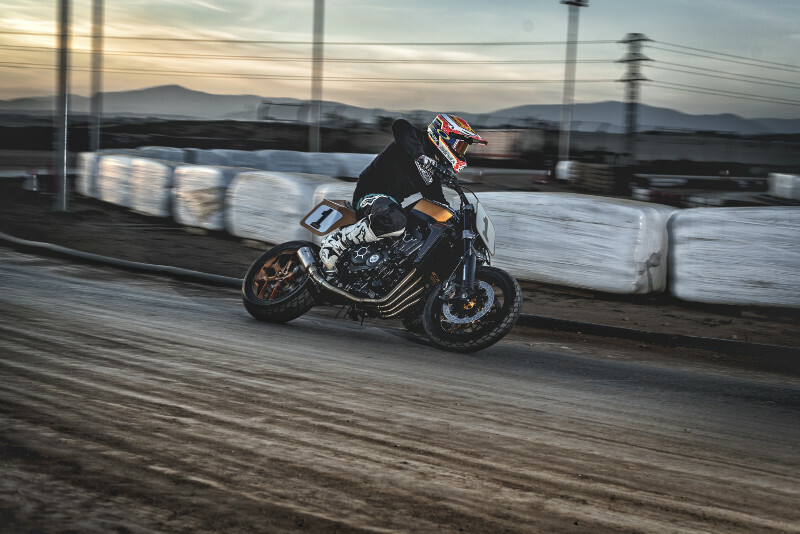 The first manager of the company, José María Arenas, and his son Javier earned national titles in several disciplines, from enduro to superbikes, and Javier was the first team manager of none other than Marc Márquez! 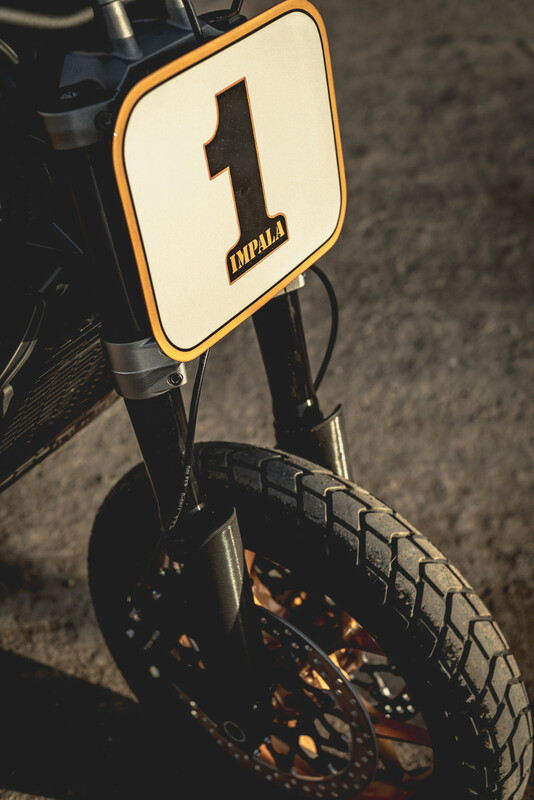 What’s more, Impala has supported such flat track heroes as Brad Baker and Jared Mees when they came to Europe for the illustrious Superprestigio event. 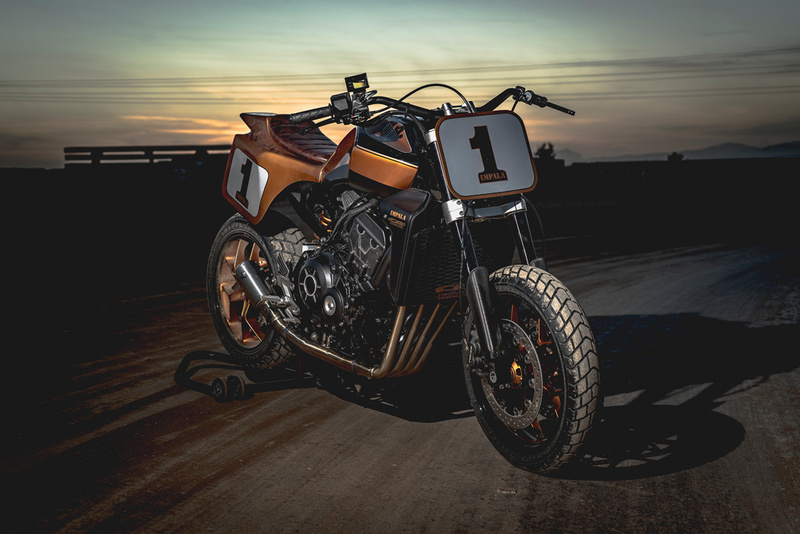 Impala decided to infuse this dirt track heritage and experience into their contest entry, creating a stunning Honda CB1000R tracker. 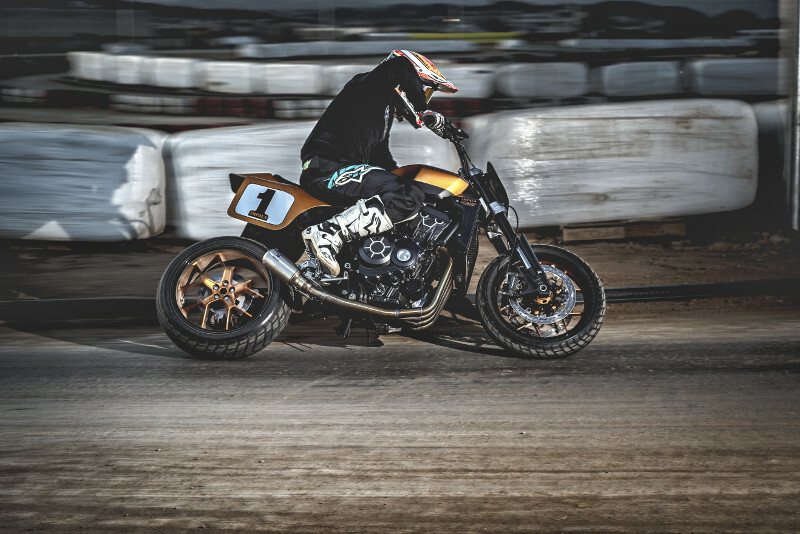 The team spent tons of time in Solidworks, designing one-off components for the laser-cutter, and cancelled the the traction control and ABS for the track. 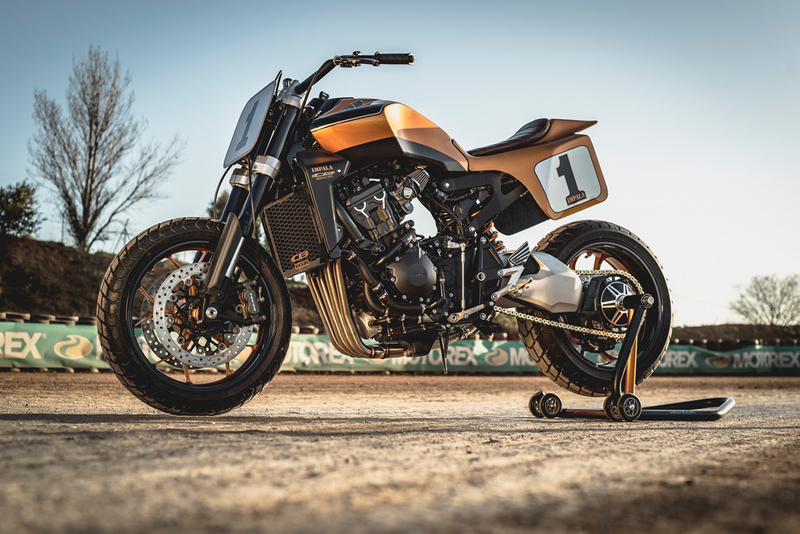 Below, we get the full story from Enric Ferreres, as well as some stunning photos from our friend Diego Bermudez of Revival of the Machine. 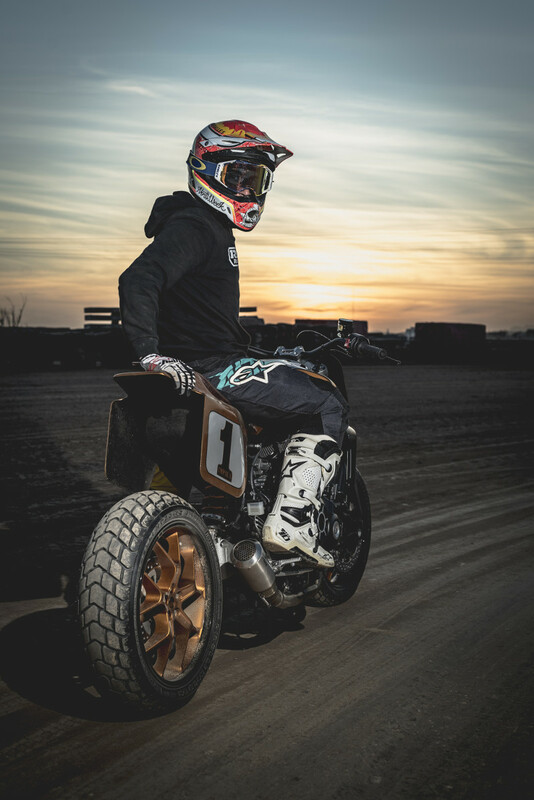 • Please tell us a bit about yourself, your history with motorcycles, and your dealership. 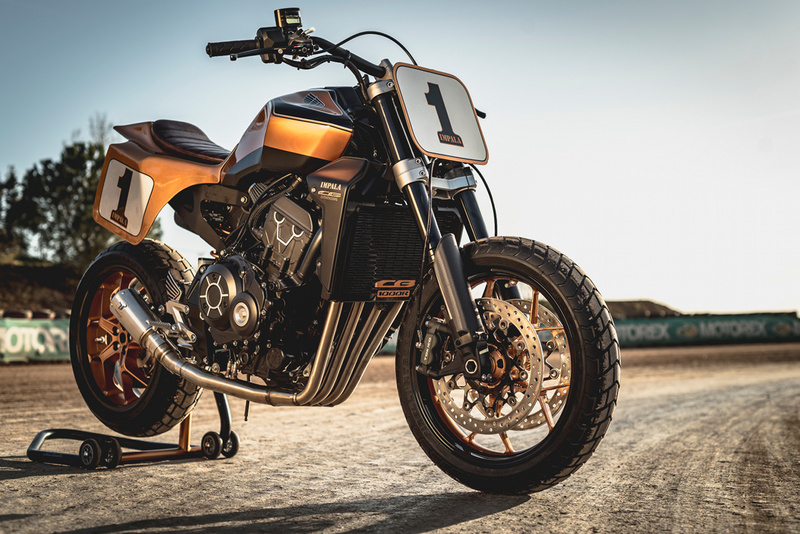 When Honda proposed for us to customize a CB1000R for the contest we immediately had a lot of ideas. This bike is an incredible base. The problem was that we had a limited budget, and most of the proposals that we had were over the budget. 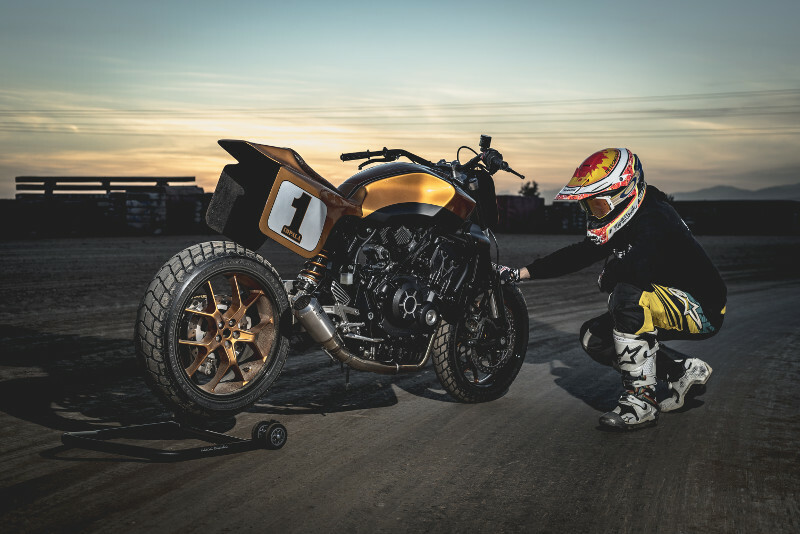 Then we decided to build a motorcycle with few accessories — a flat track race bike was perfect. 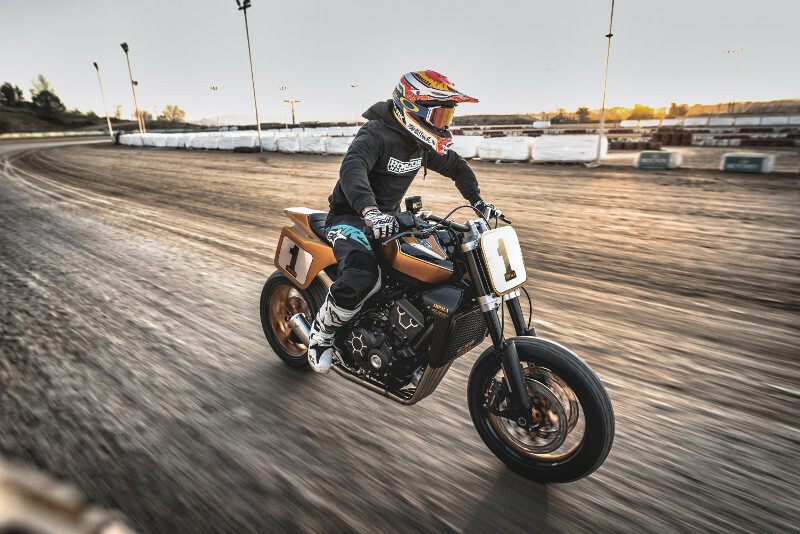 Our influence has been the big American flat track bikes and then we wanted to make a tribute to the CB series that this year celebrates 50 years. 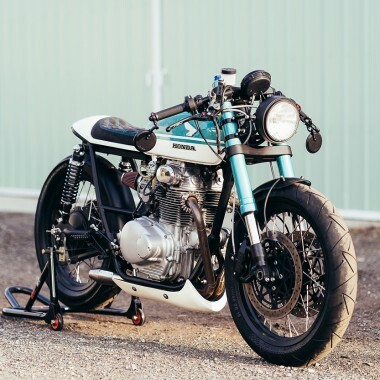 That’s why we used the colours of the first CB750 Four K0 from the year 1969. The first thing we did was disassemble the original sub frame to replace it with another one designed by us in Solid Works and made with aluminium. 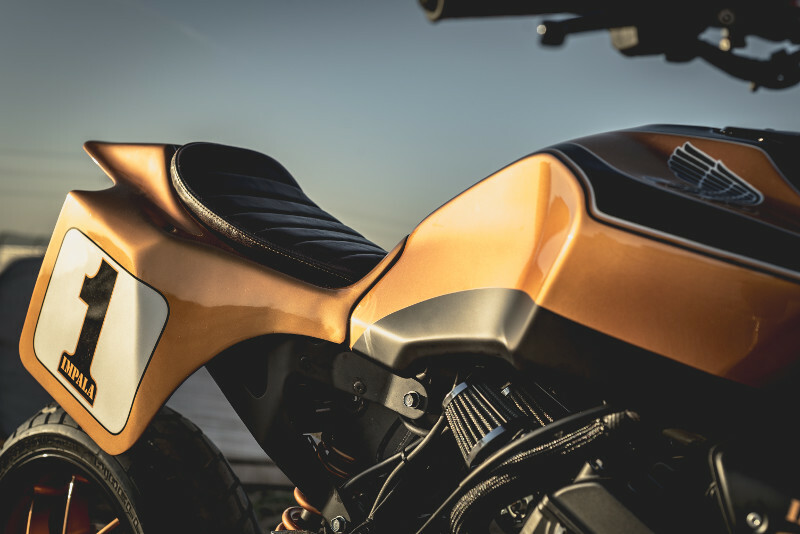 Shorter, lighter and more minimalist than the original, the only thing we wanted was to re-situate the electrical components and make the base for the fiber tail and the seat. All the pieces that form the subframe were laser cut and screwed together, no welding was used. 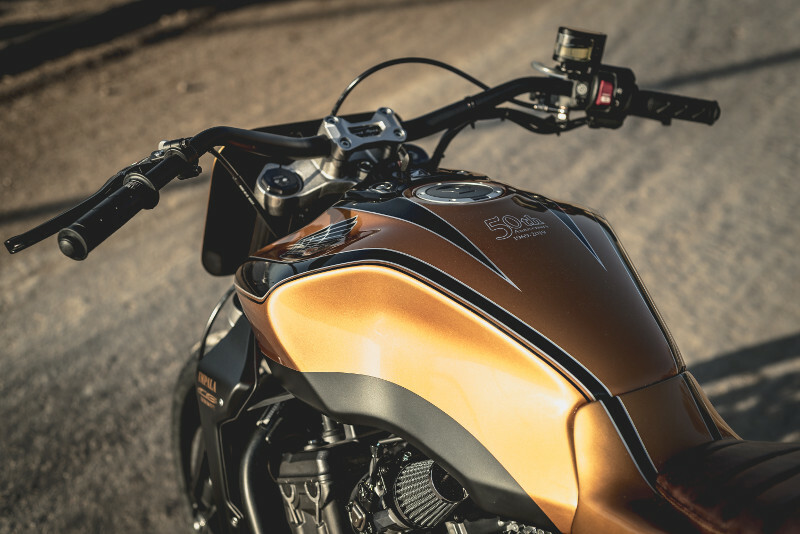 The traction control and the ABS were cancelled out of the electrical system. The front and the rear lights, the turn indicators and the digital display were also cancelled. 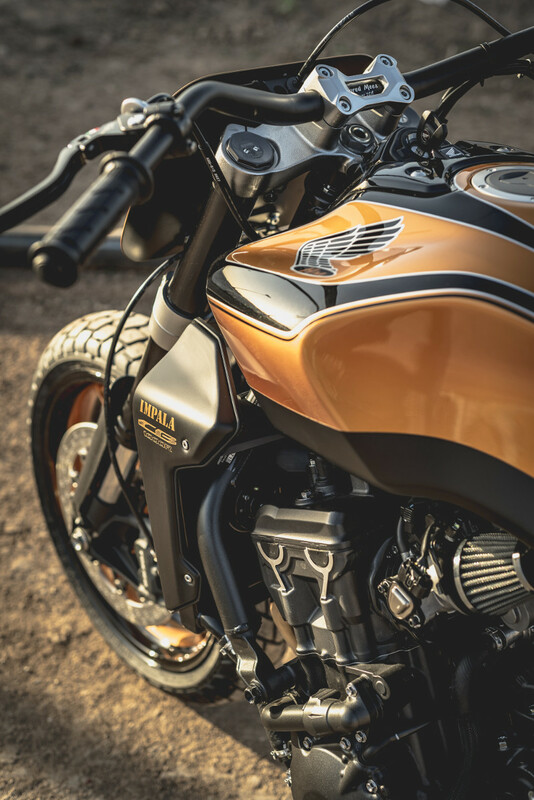 The fiberglass tail was made to measure, respecting the original dimensions of a Flat Track racing bike and fits perfectly to the astonishing CB1000R tank. The fiberglass tail is screwed directly to the custom sub frame. 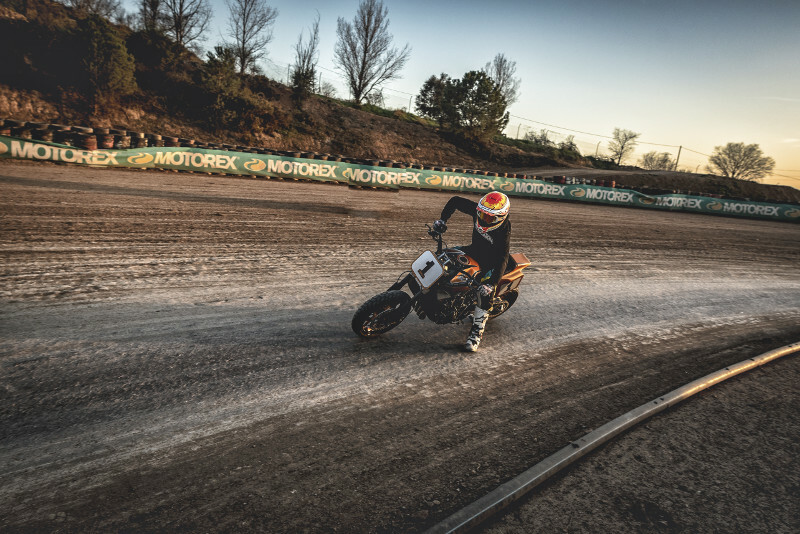 The original handlebar was replaced by a Neken Jared Mees replica. The left buttons was removed leaving only the start button on the right side of the handlebar. 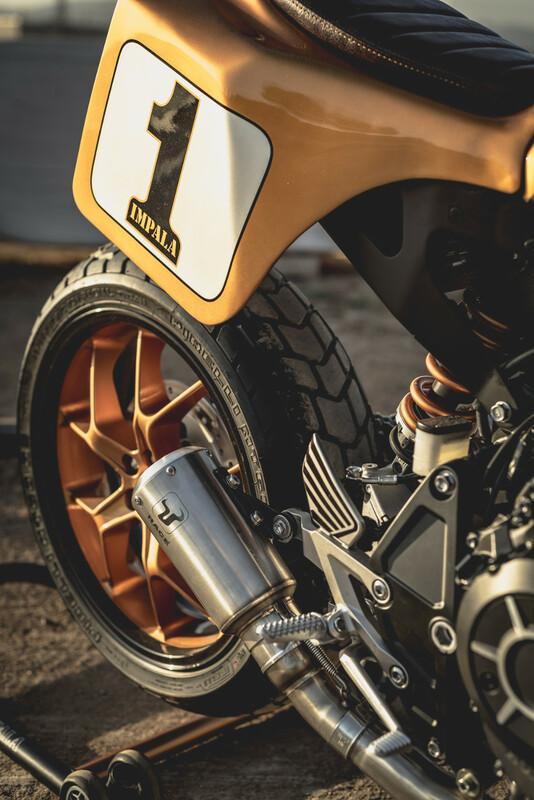 The original brake maker cylinder and clutch lever were replaced by a Brembo. The original tires were replaced by the Pirelli MT60. In the headlight area, we put a number holder that we made in sheet steel. Number holder supports were designed in Solid Works and were laser cut. 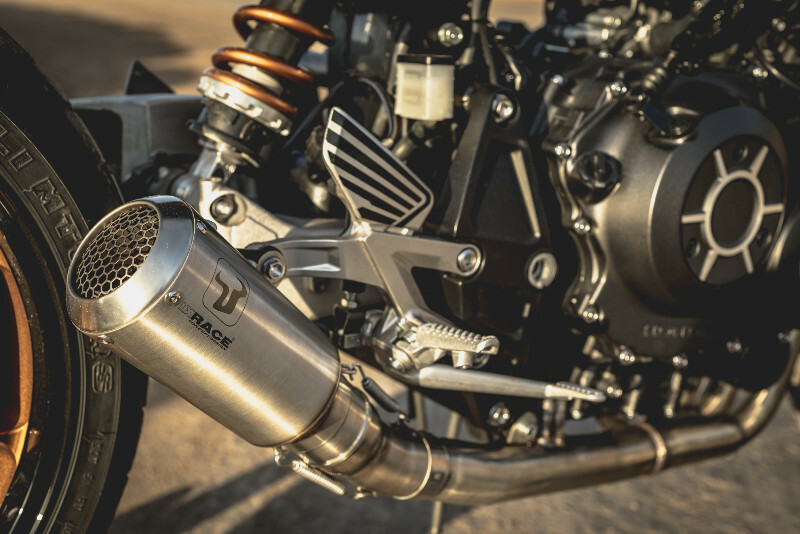 The exhaust that we chose was an Ix Race Mk2 with direct exhaust manifold without catalytic converter. 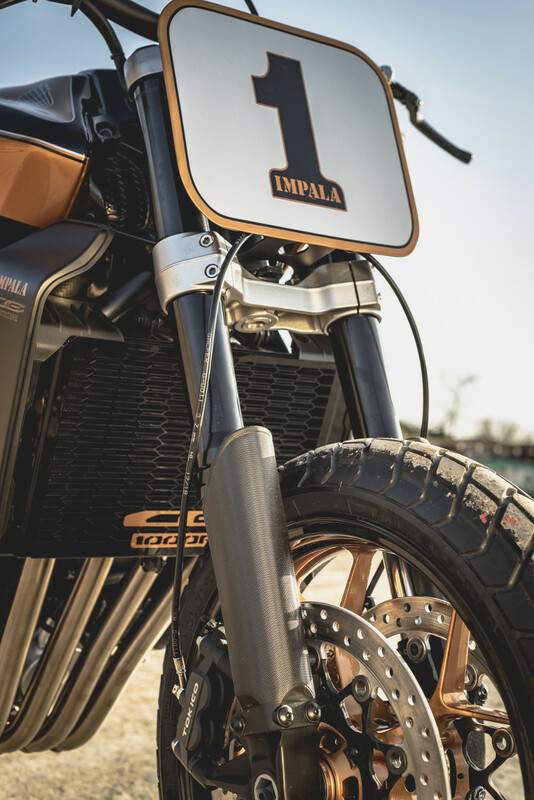 The fork protectors brackets were designed in CAD and were laser cut, the holes of the original mudguard were used to screw them to the bars. We are very happy with the final result design of the subframe. We are also in love with painting work. 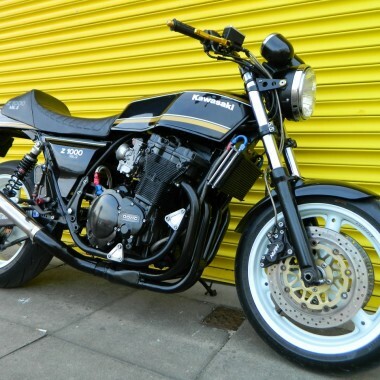 Amazingly beautiful build from the color to the seat pan with number plates, one of my favorite builds ever !